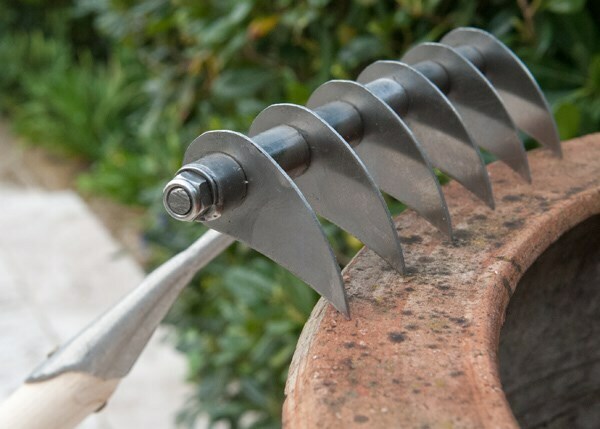 Frighten away stubborn lawn moss and thatch with the sharp stainless steel blades of the Sneeboer scarifying rake. It's no coincidence the name is a combination of 'scary' and 'terrifying'! 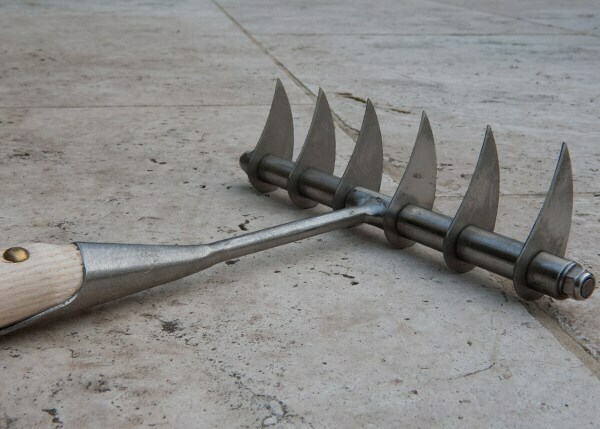 The pointed plough-like tines make light work of raking away moss and cutting and clearing thatch to improve uptake of oxygen, water and nutrients. They also open up soil to create ideal conditions for sowing new grass seed, and cut down through shallow grass roots to stimulate extra growth. 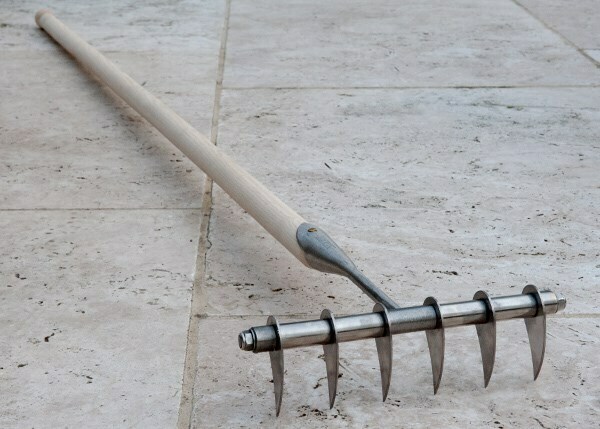 Besides lawn care, the rake also comes in handy for breaking up topsoil and preparing the ground for sowing and planting. 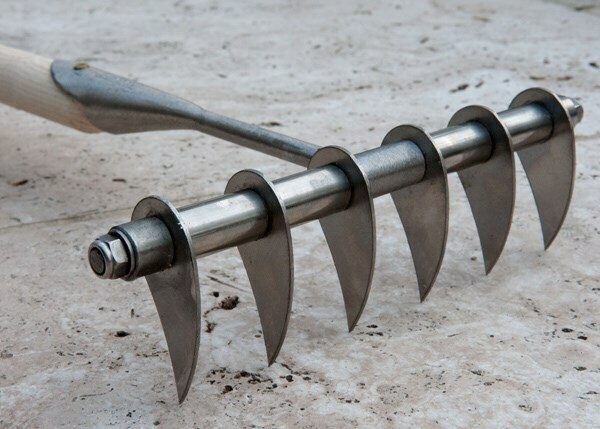 The substantial weight helps it cut up compacted clods on the push stroke and level on the draw stroke, and the six tines create evenly spaced channels for seed sowing - ideal for smaller crops like radishes and salad leaves. 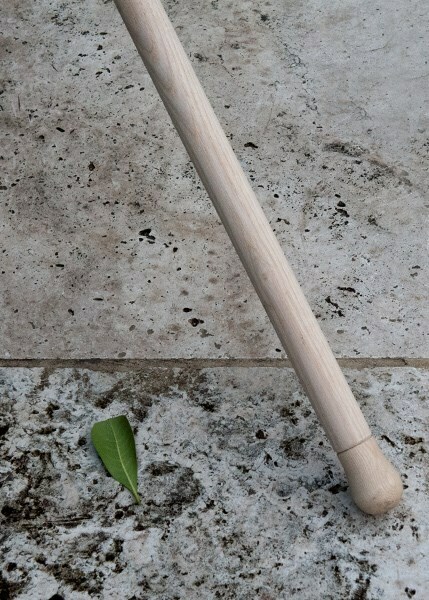 The stainless steel head is riveted to an FSC-certified solid ash handle with a bulb grip for comfortable handling. 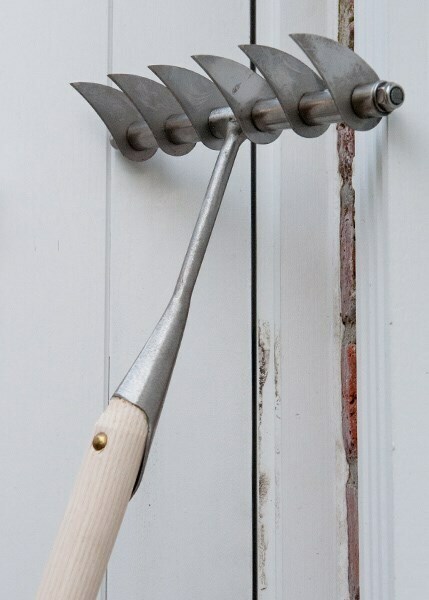 Supplied with a 10-year guarantee on steel parts (1 year for the handle). 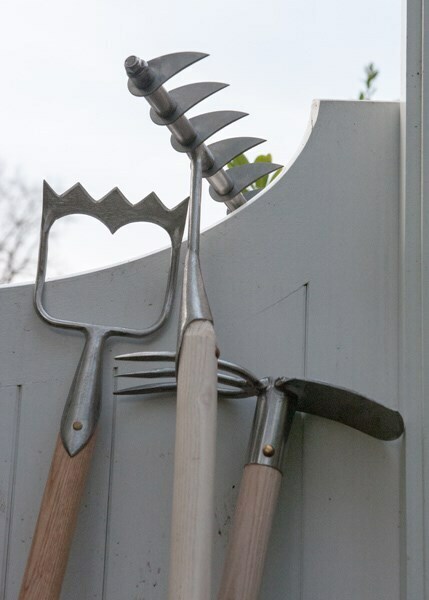 Heavier than the average garden rake, it is remarkably efficient at breaking down topsoil ready for sowing. On the push stroke,it cuts through obstinate pieces and, on the draw, levels the surface neatly. 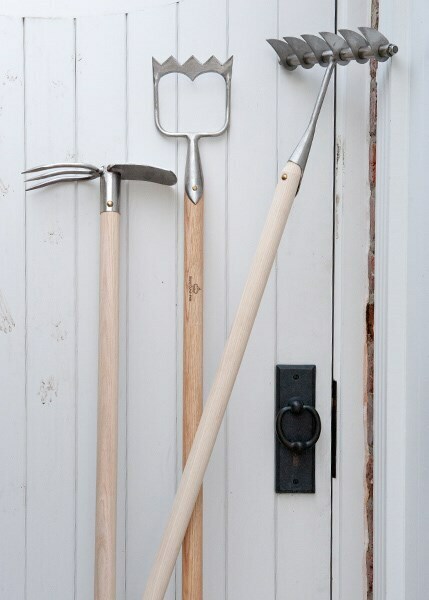 It's like two rakes in one, and definitely worth the money for anybody with an allotment-sized vegetable garden.